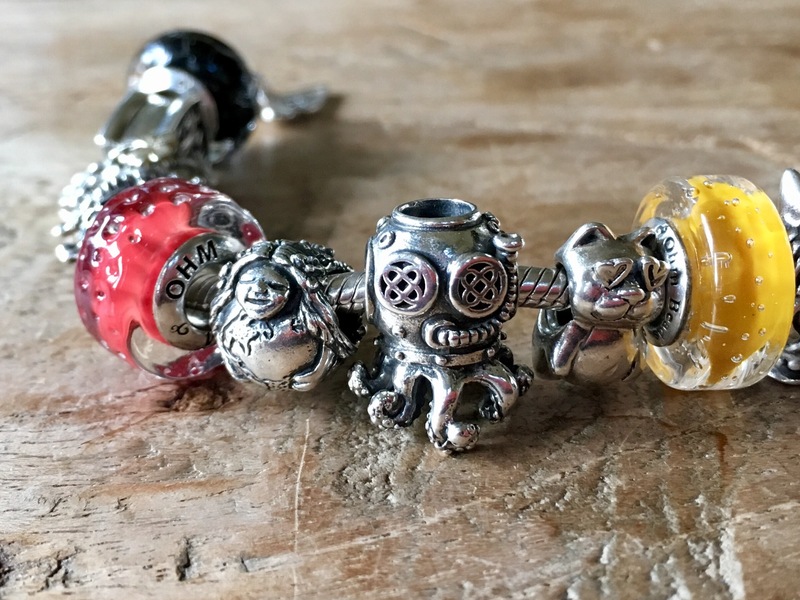 This weekend was the first Ohm beads bead event at Star Bijou in Berlin. I was supposed to go, but due to unforeseen circumstances I had to cancel. But I could follow the event online and I really enjoyed all the pictures throughout the weekend. Seeing all the people and all the beads! 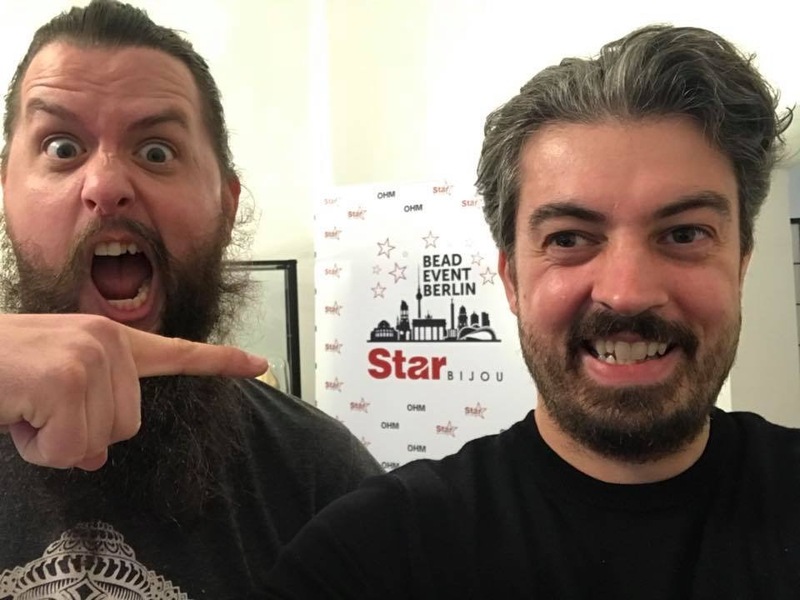 I feel lucky that I managed to grab the Limited Edition event bead Lucky Stars very late friday night! Today I saw many Berlin sightseeing pictures and enjoyed touring the city that way! But one picture kept stuck in my mind and inspired me to make a Star Bijou bead event bracelet! Just for fun! The colours are ofcourse the German flag. On the left we start with the gorgeous couple Frank Ohm and Cari Lee! The Je Maintiendrai bead (Dutch crest) was initiated by Frank. 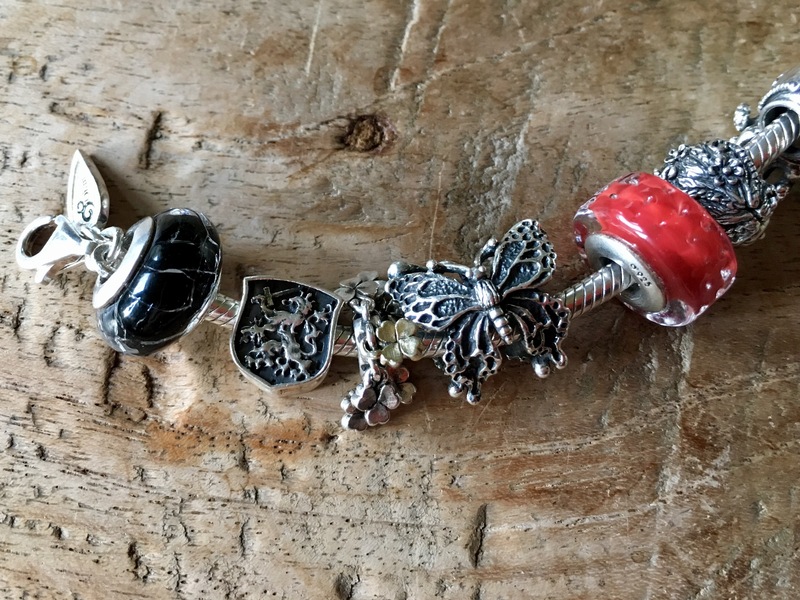 The Butterflies bead is perfect for the sparkling Cari! Lucky Moves reminds me of Lucky Stars! The middle is for the Star Bijou ladies! Anja is Mama Terra, she takes good care of everything! Gabi is Baby Argh, she has a grasp on every aspect! And Carola is Cute Cat, she has her eyes on the gorgeous beads! 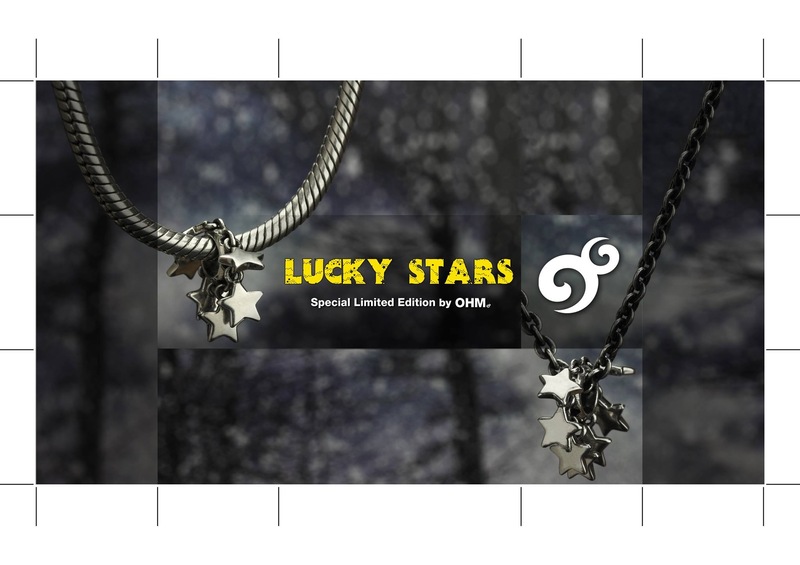 And last but not least, the right part of the bracelet is for Mike Ohm and Nicolai! And this is the picture that inspired this whole bracelet! 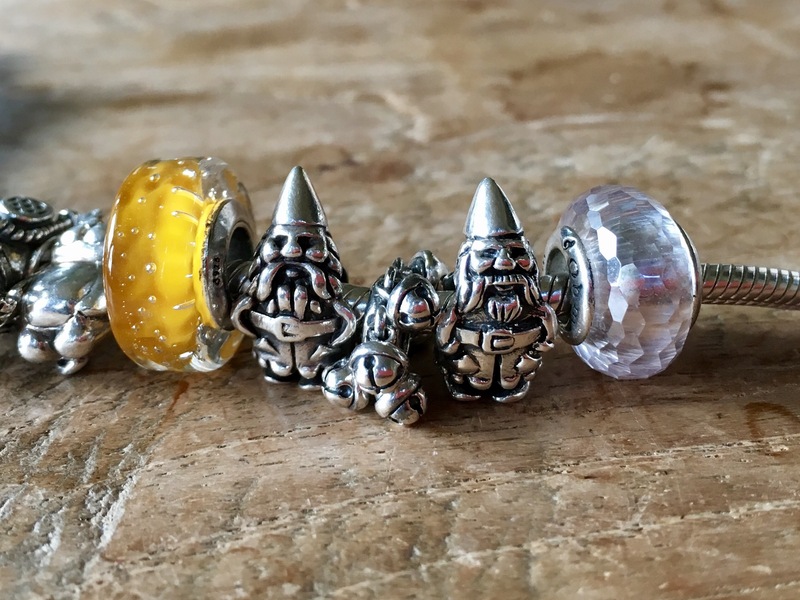 Don’t you think the OhmGnomes are a perfect match! Now everybody goes their seperate ways and we can start waiting for our ordered beads to arrive! 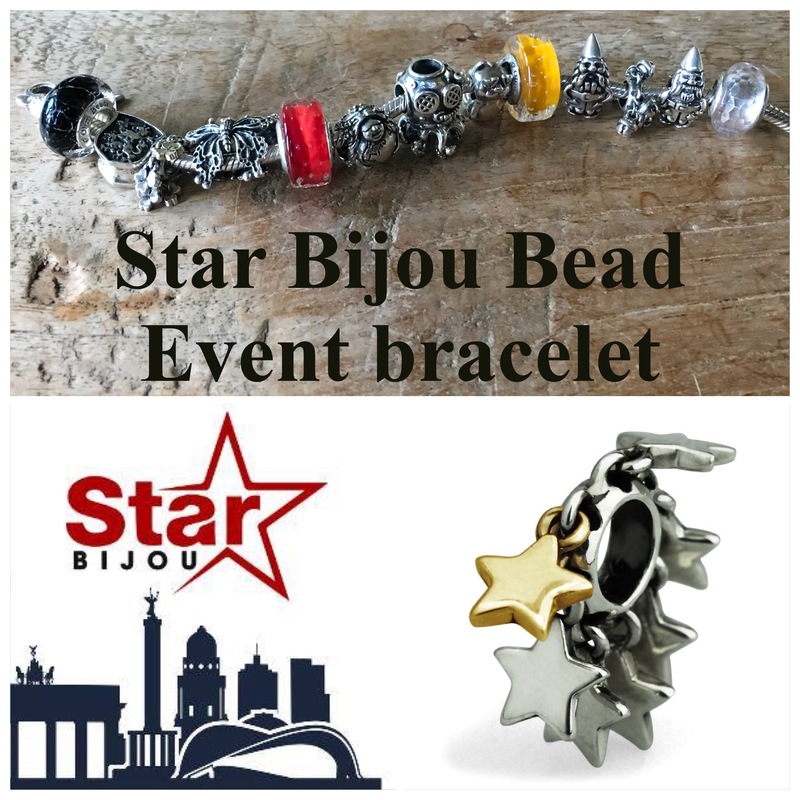 The event bead Lucky Stars is a special limited edition, only 333 are made for Star Bijou. 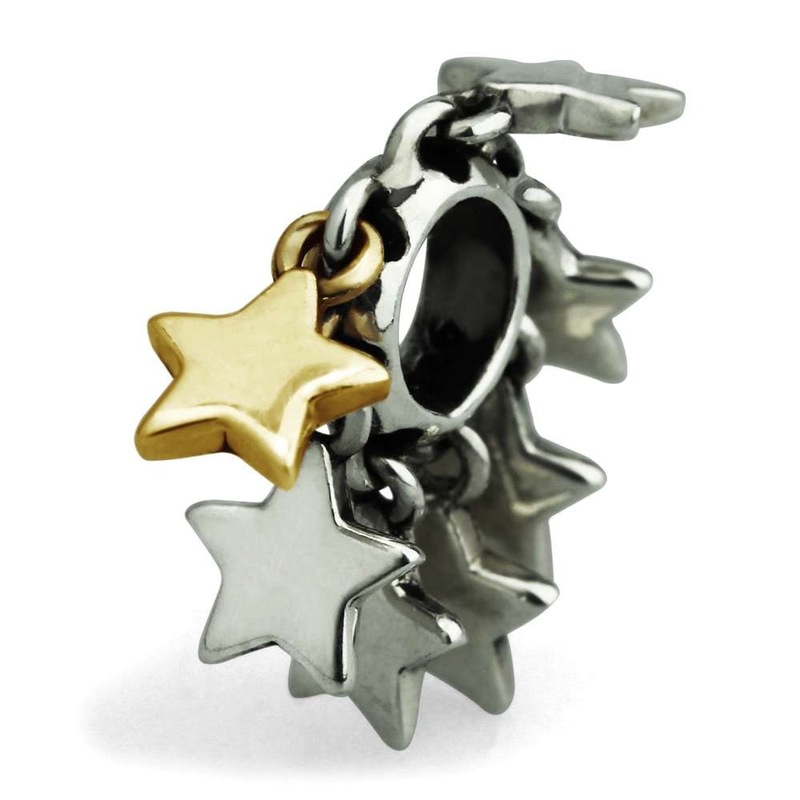 There is also a non limited all silver special edition available only at Star Bijou. Thank you for a fun bead event and weekend! Until next year? ?